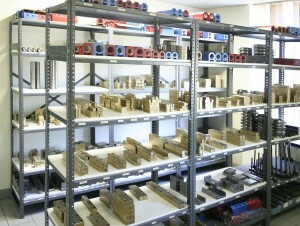 Aalbers Tool and Mold Inc.
At Aalbers Tool and Mold Inc., we manufacture and stock our own standard components. This makes us more efficient in cost and timing. As a result we can offer more competitive pricing and shorter tool deliveries. In the event of an emergency, this allows us the ability to offer replacement parts to our customers in need of them.